Plek is many things to many different people. We like to think of it as a question - What makes for the best possible playability in a guitar? - which we have turned into a machine. It is also way of looking at the fingerboard, the frets, the strings, of your instruments. It is the application of decades of research and experience, and dialogue with master guitar builders. It is a philosophy, an idea of quality and playability, as well as a technology. The Plek Station is a compact machine developed around the high speed, high accuracy plektechnology but which is small enough to be used in repair shops or small-scale production. It is a tool that not only performs precise fret dressing, nut slotting/shaping, bridge slotting and engraving but also helps with quality control and R&D. All of these procedures will reflect the working style and judgement of the operator, whilst at the same time allowing a far greater degree of accuracy than is possible with the naked eye. For more on the Plek Station click here. 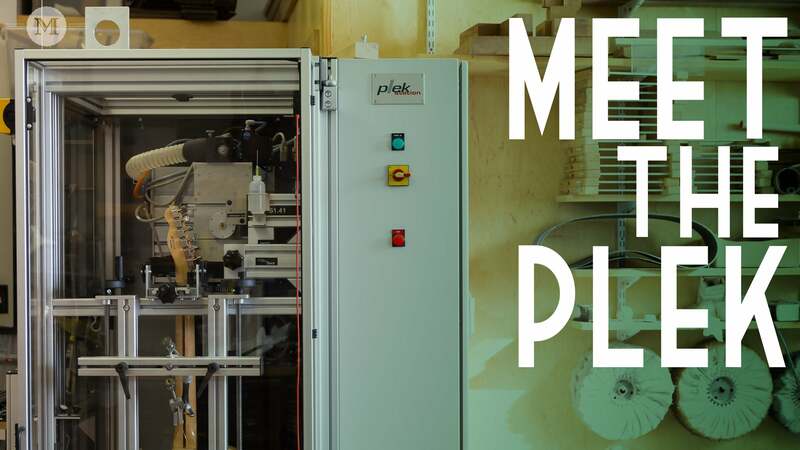 The Plek Pro has been developed for use in guitar production factories and/or service-repair shops as a tool that not only performs precise fret dressing but also assists quality control and R&D. The Plek Pro speeds up the production process and raises instrument quality to an extremely high and consistent level. It is a computer controlled device that scans and dresses guitars under actual playing conditions, strung and tuned to pitch. This is a major breakthrough since the Plek Pro not only identifies precisely what needs to be done for perfect fretwork but also executes the adjustments itself to deliver perfect results on each instrument. For more on the Plek Pro click here. It's a situation any guitarist can relate to: the instrument is well-balanced, looks great and sounds excellent, but somehow it's hard to play. But it's a problem that can be solved. For more on how to make the playability of your guitar the best it can be, click here.